If there is one thing that the tech industry has started to learn about teenagers, it’s that they have a tendency to be quite fickle in their social network preferences. This can be seen with how frequently teenagers tend to move from platform to platform, thereby making it difficult for marketers to get any real sense of where they are trying to go and how they are going to end up getting there at any point in time. About six years ago, Facebook reigned supreme as the most popular platform that all young people loved to use. However, as time passed by, it ended up being ousted from the top spot by none other than Instagram, although by this point the picture sharing platform was owned by Facebook so it didn’t really matter. Back in 2016, though, a major shift occurred because of the fact that Snapchat became the most popular social media platform among young people. This was a major change because of the fact that it made it so that neither Facebook nor its acquired channels were at the top spot anymore. “Favorite social platform is Snapchat but Instagram is cited as the most used; Facebook engagement flattens.”, reveals PiperJaffray’s latest study. Twitter used to be popular as well, but as of late the social networking platform has fallen out of favor due to its inability to keep up with the times. 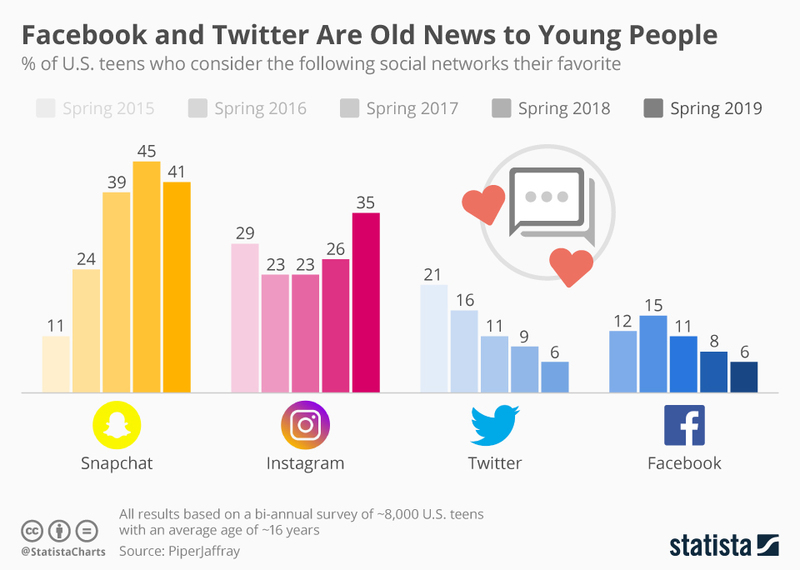 Most teenagers these days do say that Snapchat is still their favorite social network, which makes it seem like that particular platform might just be here to stay for a very long time indeed.